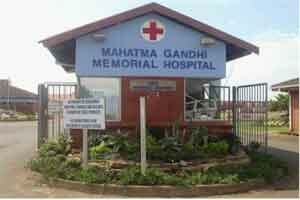 Mahatma Gandhi Memorial Government Hospital (MGMGH) has announced the launch of its first cancer clinic in the hospital. Attached to this new is the free cancer treatment, which includes consultation service also being offered at the hospital. Many patients from the Trichy and the nearby rural districts can seek relief from the much needed facility in this area. The cancer unit will also provide diagnosis and post-operative treatment to the patients. A senior official requesting anonymity has implied that this paves the way for a full-fledged department for cancer treatment in the hospital, and is also a significant step towards reducing dependence on private hospitals, thereafter. Patients can also undergo chemotherapy at the clinic. Another senior doctor further implied that there are surgeries for different kinds of cancers being performed here. Moreover, the chemotherapy is being offered at the hospital free of cost. However, the hospital lacks radiotherapy equipment, so it cannot be performed at the cancer clinic here. Even after having allocated funds for procuring the equipment, and a department for medical and surgical oncology, there were no doctors and equipments available. The good news is that the hospital has been able to establish a full-fledged facility to treat cancer. As reported by TOI, established as an outpatient ward, the clinic is housed in the recently inaugurated department of minimal access surgery on the first floor of the trauma care and super specialty care block. The ward, which started functioning as an outpatient ward from February 8 without a formal inauguration, has been receiving good response. Upgraded as a medical college hospital attached with the KAP Viswanatham Government Medical College (KAPVGMC) in 1997, the tertiary care hospital lacked a department for cancer treatment. The situation remained unchanged even after the hospital was equipped with the super specialty block in April 2014, thus forcing many poor patients to rely on private hospitals in the city or the government hospitals in Madurai, Thanjavur and Kancheepuram. Radiotherapist Dr L Sofia, a former student of KAPVGMC, has been appointed as the first full-fledged doctor for cancer treatment in the clinic. The outpatient ward will be open from 9 am to 12 noon on Monday, Wednesday and Friday.